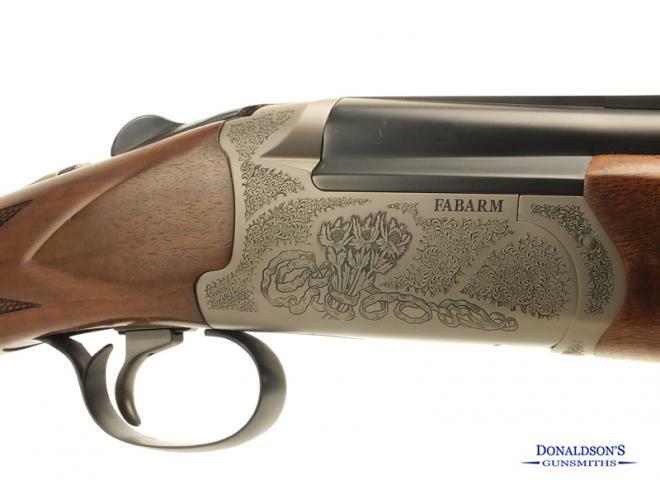 Single selective adjustable trigger, ejectors, with side plates, engraving finished by hand, barrel length 30", floating barrel, interchangeable ribs, luxury oiled stock with adjustable comb, proof tested to 1630 bar, supplied in ABS case. 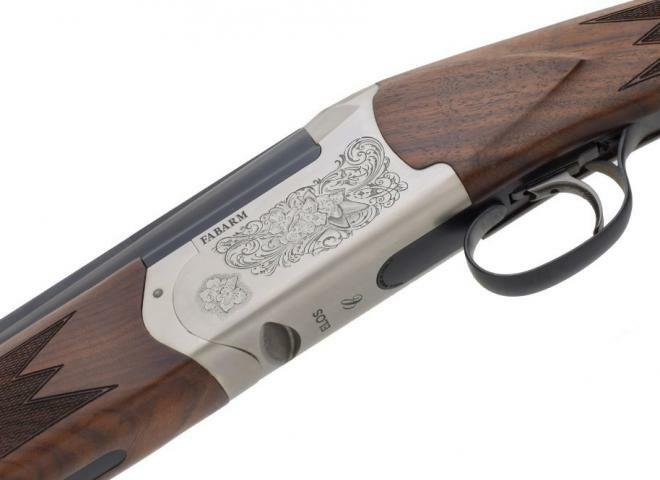 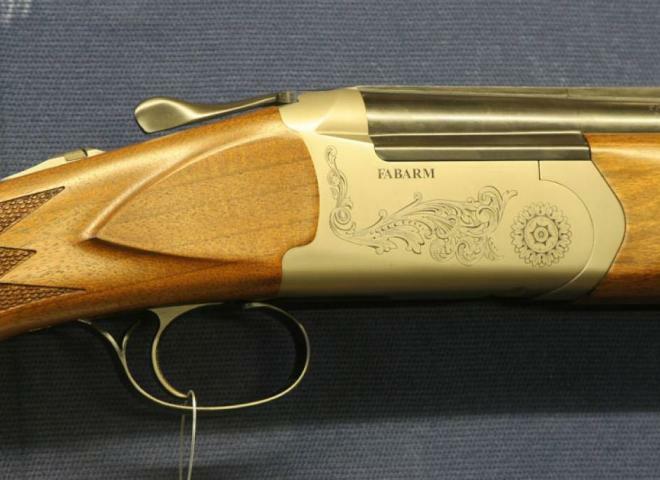 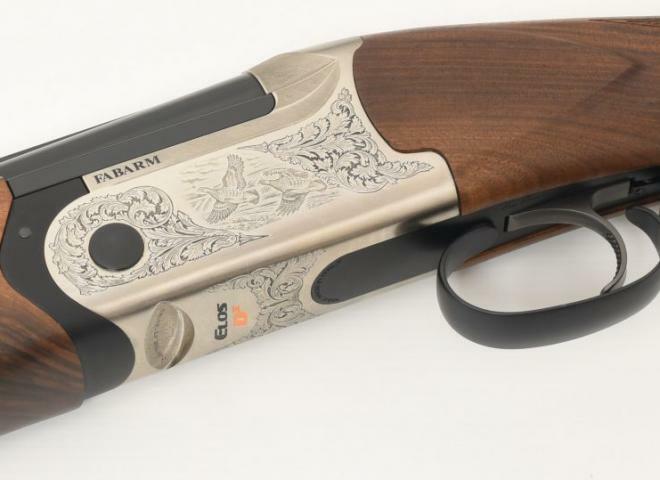 The Fabarm Elos Deluxe has a very nice semi-round bodied action with scroll and game engraving along with a single selective trigger and auto safety. 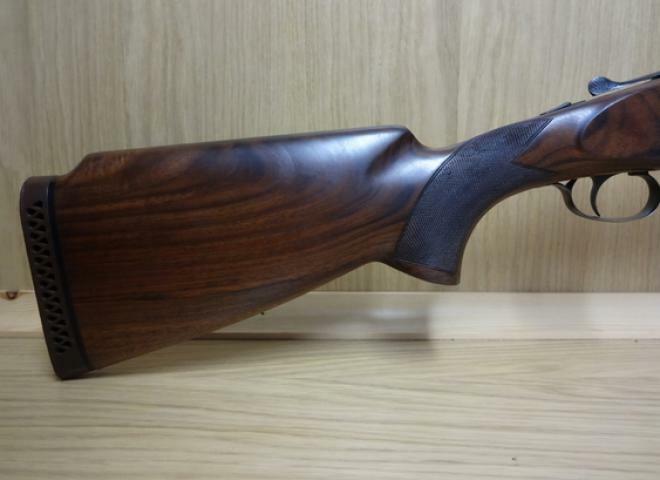 The barrels have a 6mm wide tapered and ventilated top rib with single bead sight. 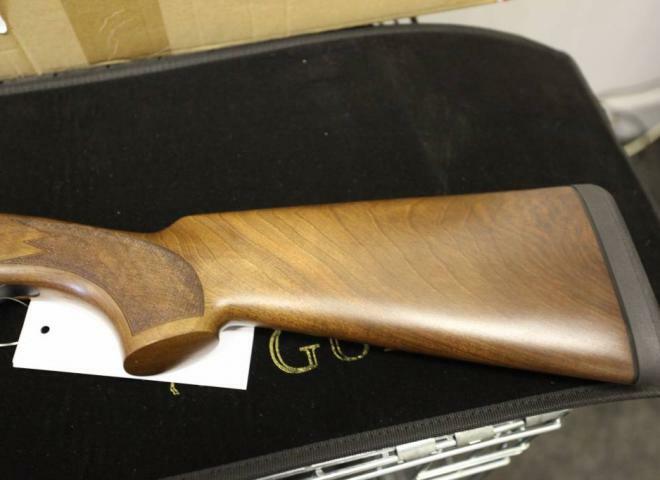 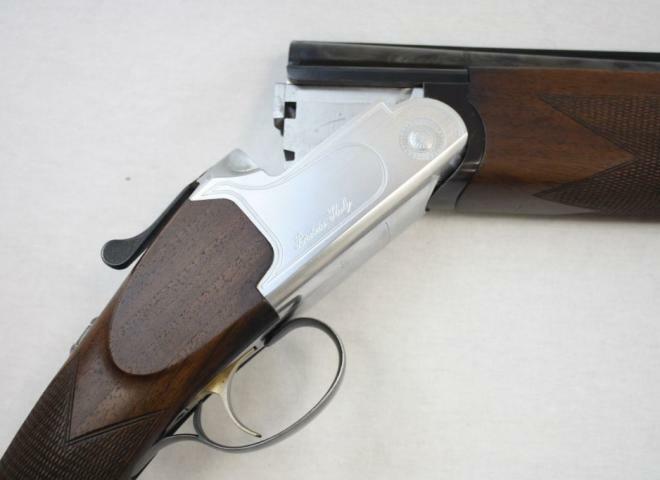 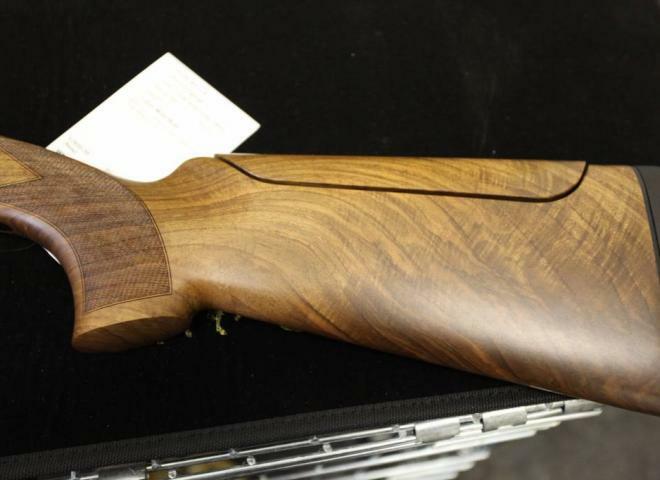 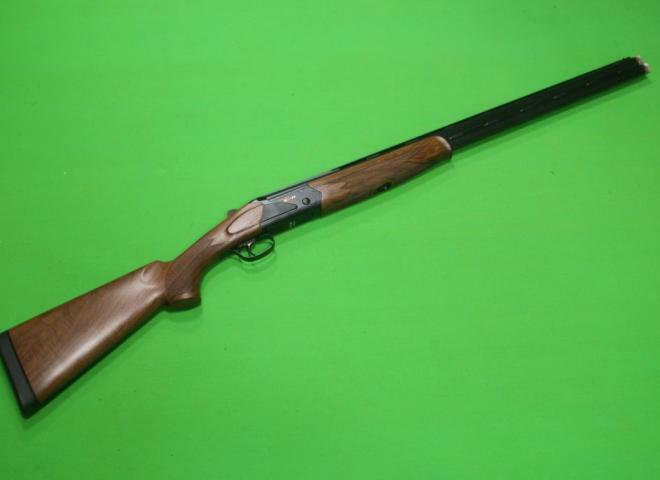 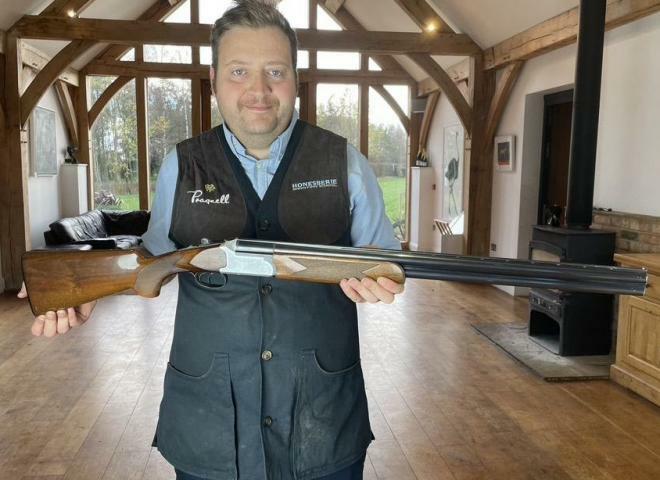 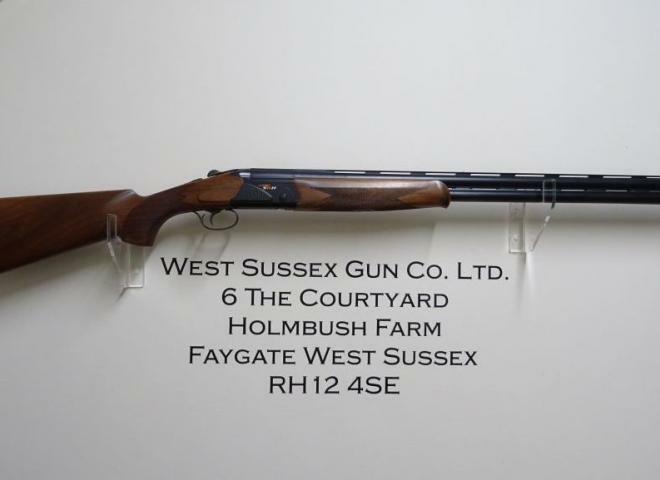 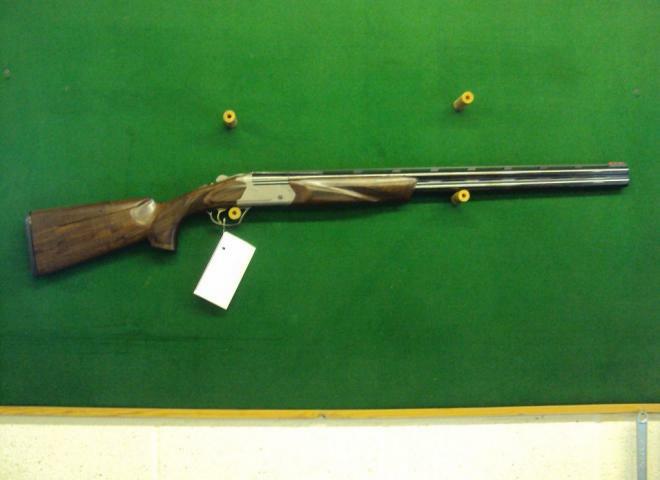 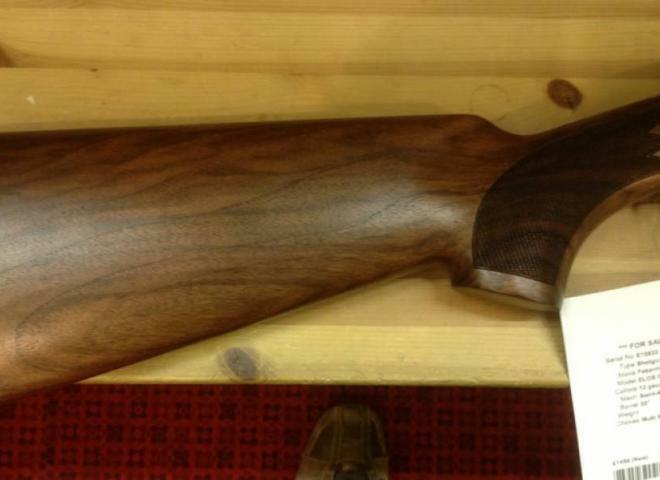 Intended for the first time buyer, this gun is well made, with excellent wood to metal fit.